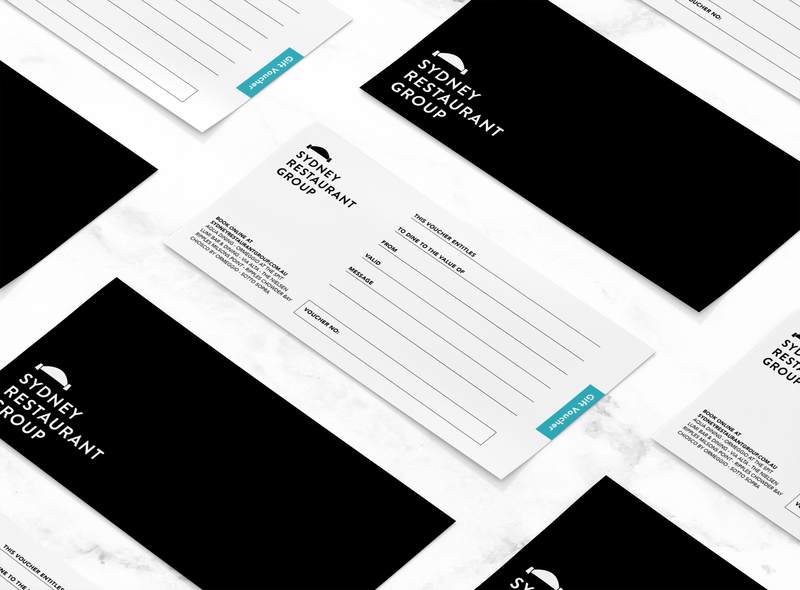 Valid for use at all Sydney Restaurant Group venues. 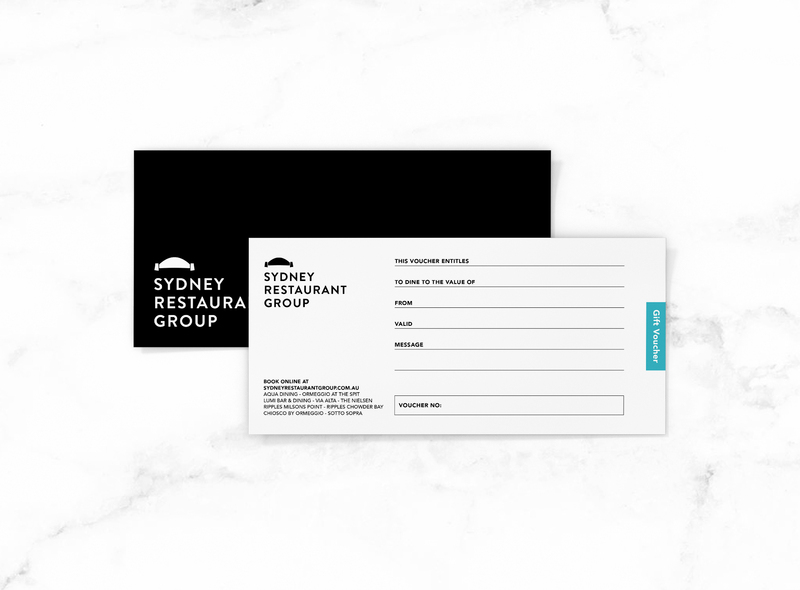 Vouchers are available instantly online. 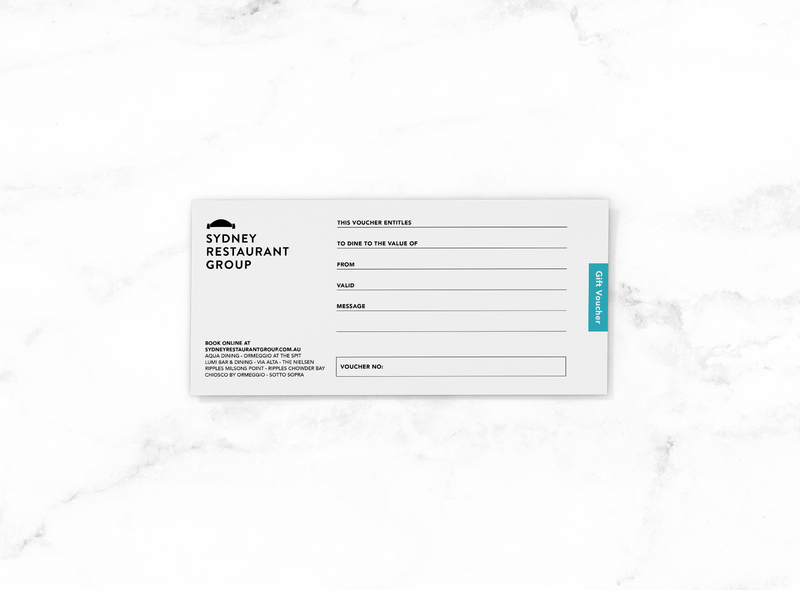 Sydney Restaurant Group vouchers are valid at Aqua Dining, Ormeggio at The Spit, LuMi Bar & Dining, Ripples Chowder Bay, Ripples Milsons Point, Via Alta, Chiosco by Ormeggio, Sotto Sopra, The Nielsen and Jardin St James.